What’s the 100-Day Trainer Challenge Anyways? Since when are you a horse trainer? Ok, it’s true that I’ve been a full time graduate student up until recently, and that I now have a full time day job in an office. But I ALSO train horses on a limited basis (and I even get paid to do it!). I started training horses for other people with my friend Kelsy Smith in the summers after I graduated high school, and since then I’ve worked with many different kinds of horses, from young horses who have never been ridden to experienced show horses who need a tune-up. The competition announcement mentioned something about OTTB. What’s an OTTB? An OTTB is not a disease, or a car brand, or a new texting acronym that you failed to learn. 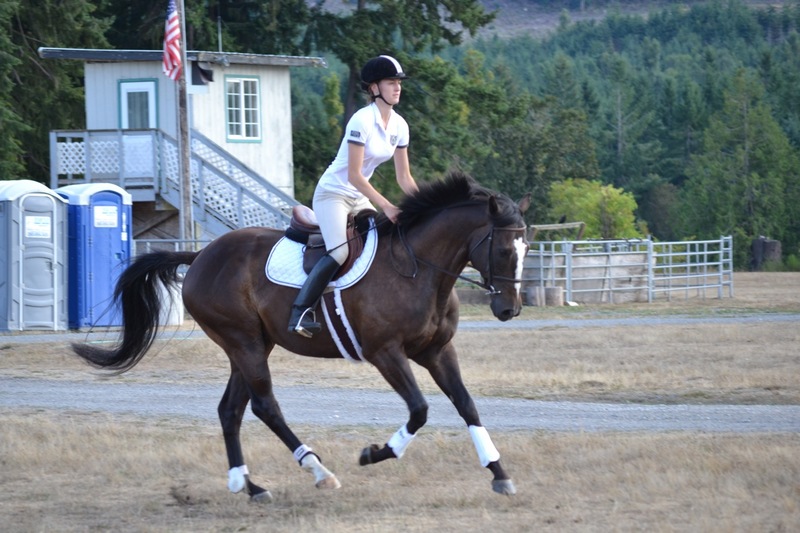 OTTB is short for “off-the-track thoroughbred,” more commonly understood as an ex-racehorse. Each year, tens of thousands of thoroughbred horses are born in the United States. According to the Jockey Club (the US governing body of thoroughbred horse breeding), in the last 10 years, 25-35,000 thoroughbred foals have been born annually, and between 61-74,000 racehorses have entered a race each year. When these thoroughbreds finish their careers in racing–due to injury, age, poor performance, breeding value, or many other reasons–they will be known as an OTTB. An easy way to identify an OTTB is to check for a mandatory identification tattoo inside their upper lip and search the number in horse racing databases (just be careful that the horse doesn’t mistake your finger for a carrot!). So…. you’re getting a new horse!? Not exactly. I’m getting a new horse for 100 days with the explicit goal of finding said horse a new owner. In other words, I get to play matchmaker. (BTW, if you know a wonderful, responsible rider who is seeking a horse, point them my direction!) I already have to lie to my family about how many horses I currently own, so it’s not an option for me to get this horse permanently. Racehorses are worth a lot of money! Will you get rich from this? That’s extremely unlikely. But if the horse I train sells within 60-days after the October 5th competition, then I will get a commission from the sale as reimbursement for the 100 days of training. It’s hard to know what price the horse will sell for (if at all), but I can pretty much guarantee that it won’t be anywhere near the price tag on the most expensive horse ever sold at auction–racehorse The Green Monkey sold for $16,000,000. Successful racehorses are worth a lot of money, but the ex-racehorses in the 100-Day Trainer Challenge are transitioning in to 2nd careers. That means they must start over in their education and learn something new. They are kind of like beginners again, and therefore, their value is not the same as the horses you see winning the big races. Some of these horses may also have old injuries that need attention or require further training beyond 100-days before they can be worth mega $$$$$. Also, just like everyone else, their financial value can be negatively impacted by the rough economy. 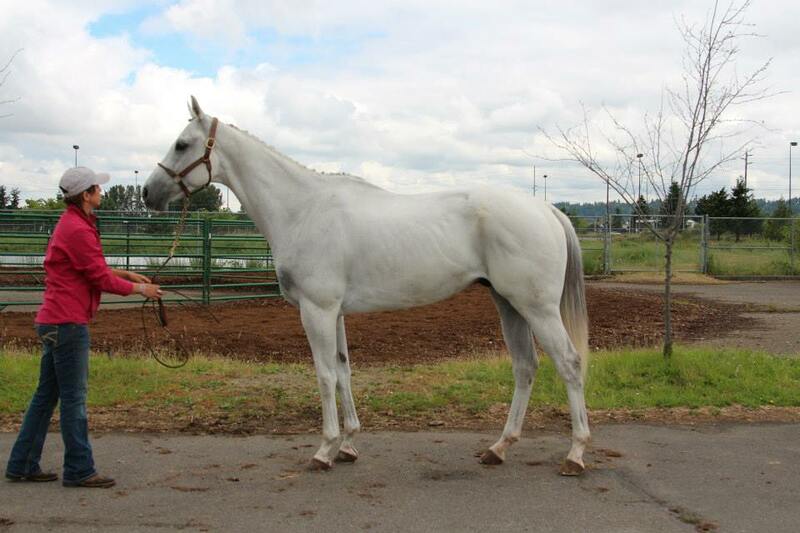 Each trainer and owner will determine what is a fair market value for the horse after it’s prepared for a new career. Training a horse in 100-days. Is that like, hard? Horse training is a continuous process with no clear end point, so it’s difficult to label the process as hard or easy without a sense of what you consider “trained.” The trainers in this competition will work to achieve as much as they can with the horse they have during the 100-day timeframe, and we’ll teach the horses new skills based on their aptitude and our own riding background (there are countless equestrian disciplines to train for). As a reference, to produce a “finished” horse in sporthorse disciplines like dressage or three-day eventing (think, the horses you see competing at the Olympics) takes many years of training, not just a few months. With horse training, the old cliche holds true, “it’s not about the destination, it’s about the journey.” This competition will highlight the journey. So who are these other people competing– is The Horse Whisperer one of them? The Prodigious Fund Committee selected 5 trainers to compete from 20 original applicants. Technically I was selected as the first alternate, but Amy Brandt of Second Chance Ranch had to withdraw last week, bumping me in to her spot. The other 4 trainers are all extremely experienced and well-known local horsemen/horsewomen and will undoubtedly demonstrate some top notch training with their chosen horses–I definitely feel grateful to be selected amongst the class of these trainers! Lucky for me, “The Horse Whisperer” is not competing. 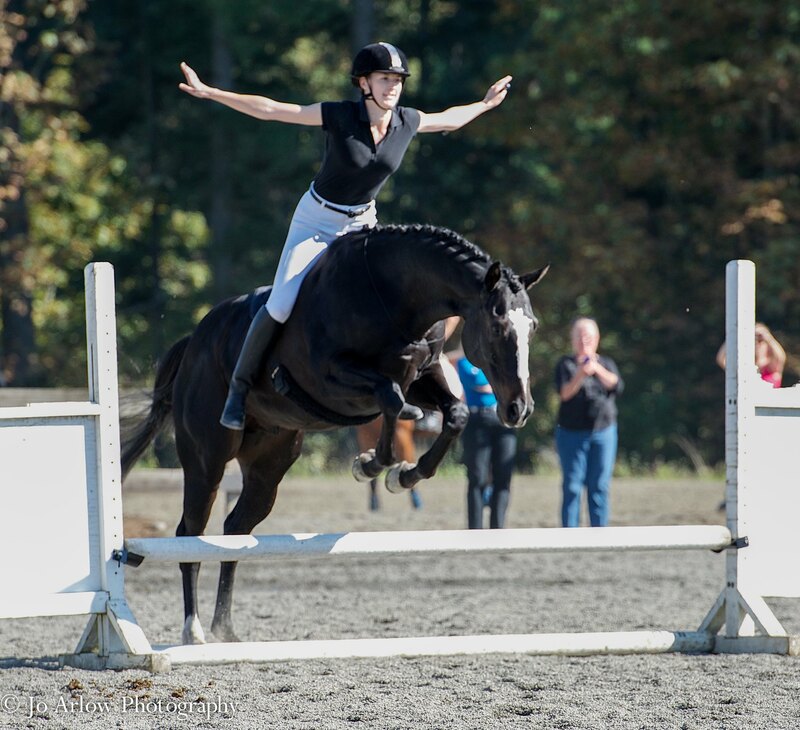 Ruel Johnson and students – Ruel is a hunter/jumper trainer who runs Blue Heron Farm in Poulsbo, WA. Devin Robel – Devin is a three-day eventing trainer from Eugene, Oregon who has been eventing for 19 years. 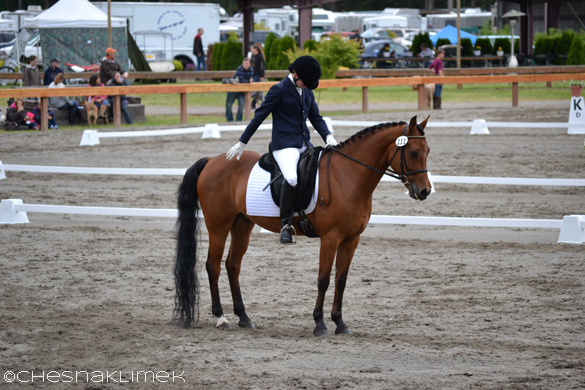 Meika Decher – Meika is located in Snohomish county, Washington and is an experienced three-day eventer, having competed extensively at the 3*** level. Mark Bolender – Mark is an Extreme Trail/Western trainer with an amazing hand-crafted extreme trail facility in Silver Creek, Washington. I want to follow your progress (or lack thereof) in the training process. How do I do that? The best way to keep up-to-date with my riding and training adventures is to subscribe to email newsletters here on my website. You can also subscribe to my new Youtube channel or Twitter account @chesnaklimek. You can also visit the Prodigious Fund’s Facebook page and/or the Emerald Downs Facebook page for updates from all of the trainers throughout the competition. Can I bet on you to win? I don’t think the betting tables will be open for this particular competition. But you can come cheer for us, and the other 4 horses and trainers, on October 5th at Emerald Downs racetrack in Auburn, WA. You can also help support me during the training process by spreading the word about this cause! If you want to help by sponsoring me and my horse during the competition, please contact me. Do you have other questions about me or the 100-Day Trainer Challenge? Leave a comment below!